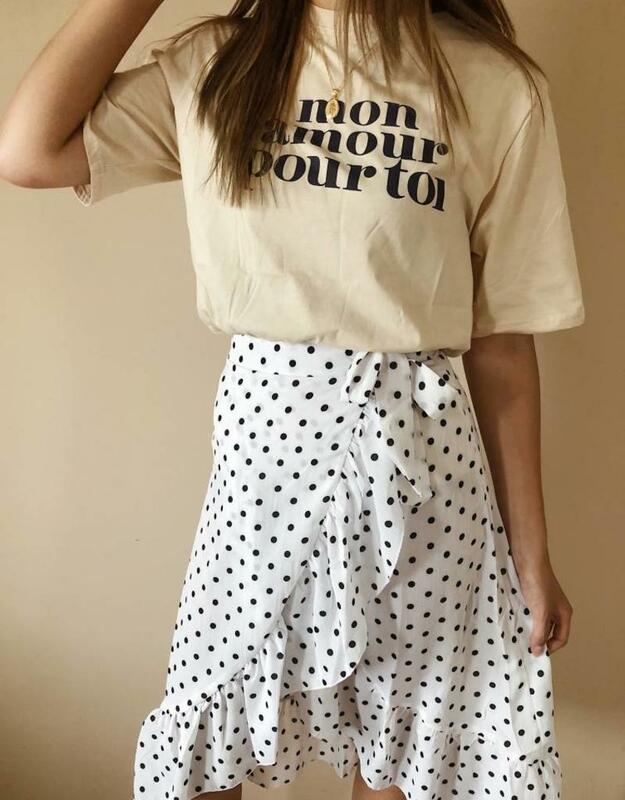 We're loving this polkadot midi skirt! 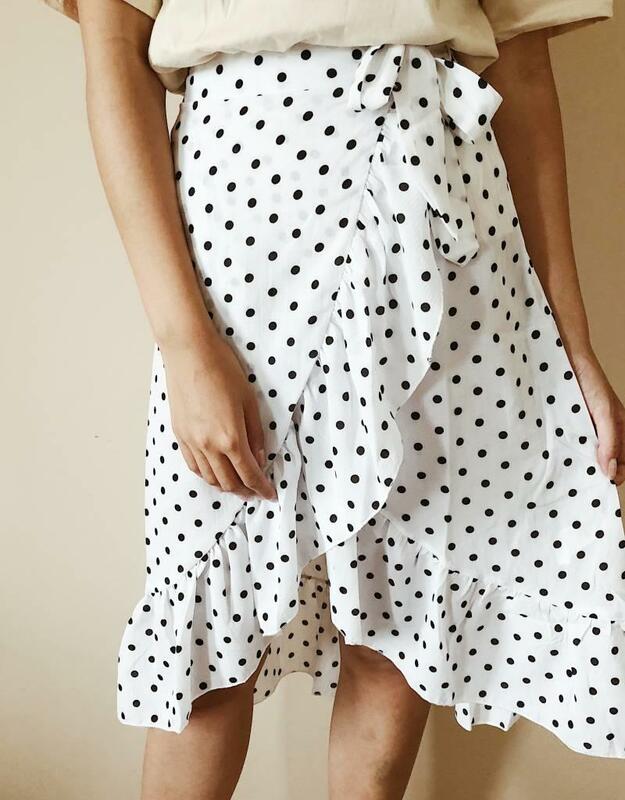 The Dottie Midi Wrap Skirt features ruffle hem details, a high waisted silhouette and an invisible side zip fastening. 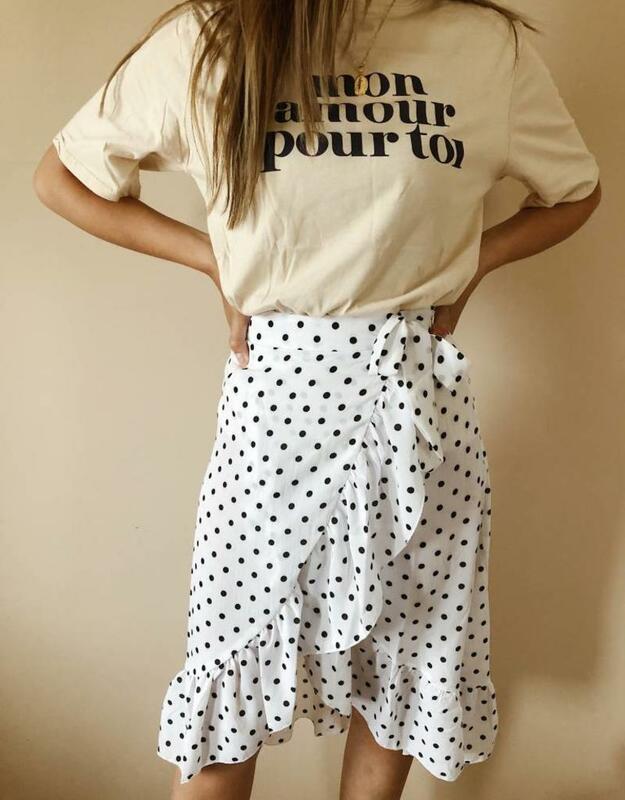 Pair up with our Beige Mon Amour Tee and boots and you are good to go!